Our inner lap kitties are just dying to get out— can you be patient while we decide if you are a friend we can cuddle with? 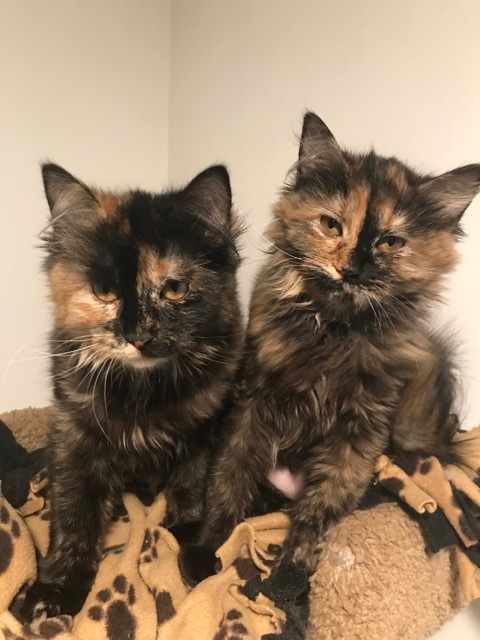 We are Sabrina and Karina and just like Laverne and Shirley we are inseparable, sassy, and fun-loving 5-month-old gals. We’ve been in foster care for only a short time and already our favorite spot is on our foster mom’s lap…when she’s not tempting us with “Da Bird” that is! Once the interactive toys come out, we have no time for snuggles. We’re still kittens after all! We love giving kisses and sometimes get excited and give little love nibbles, too, though we are learning to be gentle. Since we are still on the shy side, we are looking for a quieter home with adults or older children that can be patient with us the first few weeks and let us get to know them “Our Way”. 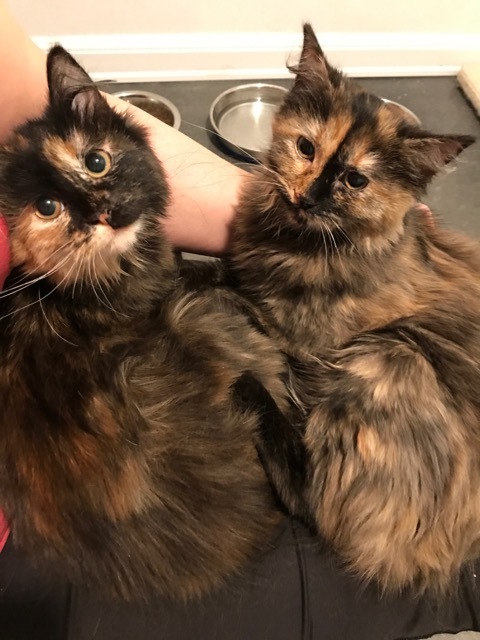 We are totally fine around other cats and would probably do well with another very social kitty to take us under their wing and help us with building our confidence even more! Will you make all our dreams come true? We’d love to meet you! We’re currently living in a foster home, so fill out an application to meet us today! We come to you fixed, vaccinated, and micro-chipped for a combined adoption fee of $243.